Dakhin is an Indian restaurant in Glasgow serving authentic South Indian cuisine that is all gluten free. Gluten free dining is tough in Glasgow and anyone with celiac disease or any kind of gluten intolerance will know the struggle is real. Much to the dismay of bread and cake manufactures, it has been reported that 10% of households in the UK have someone who has some kind of intolerance to gluten. Due to a rise in studies in the highly processed, chemically interfered foods that we eat many people all over the world are starting to remove gluten from their diets, intolerant or not, due to believing it is unhealthy. Today the debate goes on, however meanwhile those who are physically suffering from eating wheat and gluten are fighting to try and enjoy social events that involve eating without sounding like one of the “fad dieters”. Although many restaurants in Glasgow have started incorporating allergens symbols on their menus for gluten-free, vegetarian and sometimes even vegan diners, most of them haven’t. What’s more frustrating is some waiting staff in these restaurants don’t seem to have a clue what gluten is, or care for that matter. 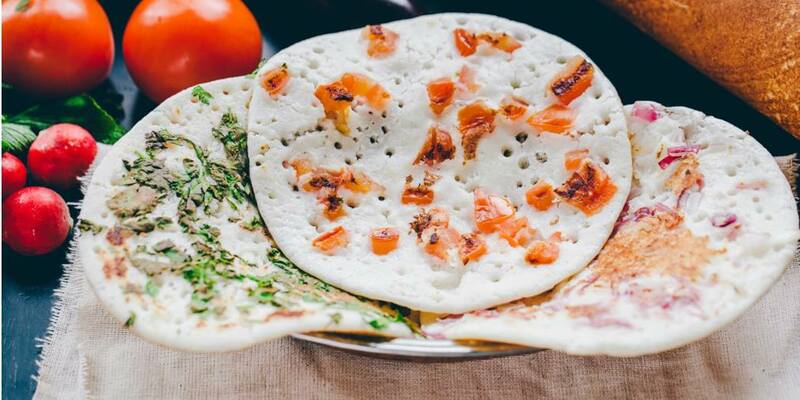 This is why Dakhin, the South Indian restaurant in Glasgow’s Merchant City is making waves in the inclusive foodie community as the entire menu is gluten-free and you wouldn’t even know. Dakhin was the first authentic South Indian restaurant in Glasgow and the whole of Scotland. 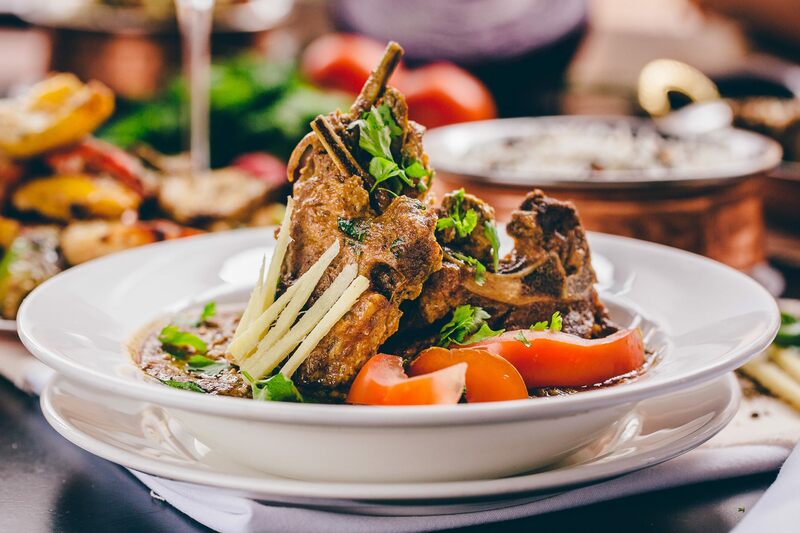 South Indian cuisine is distinctive taste that differs from your regular Glasgow take on Indian food but certainly will not disappoint. The taste can be best described as light yet nourishing, subtle yet spicy offering a unique blend of tastes that harmonise the taste buds and leave the belly satisfied. This is an inclusive restaurant with the entire kitchen being 100% gluten free and a rich choice of vegetarian options on the menu, as well as plenty of chicken, lamb and seafood preparations as well. Even the layout of the restaurant is original with an open plan kitchen where diners can gaze over and see their meal prepared from start to finish. Although gluten free, the food is in no way meagre. The portions are large and dishes colourful with the delight of gluten free Indian breads on offer as well. Dakhin brings you unique flavours and preparations that you certainly will not have tried anywhere else yet the warm hospitality and inclusive, cosy atmosphere will make you feel right at home. Those with celiac or gluten intolerance won’t have to worry about scouring the menu to find something that won’t damage your insides plus they won’t have to think about getting several sides simply to fill out the density of the meal. The portions are large at Dakhin and the food rich in flavour and filling too. 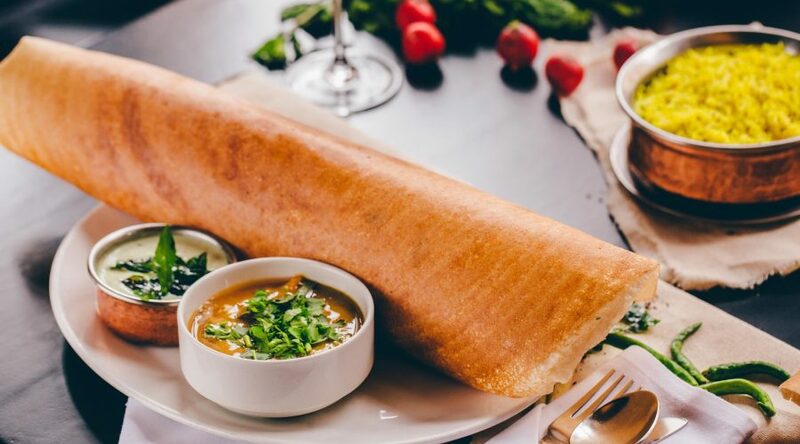 There is even a speciality dish that comes in enormous proportions that has every visitor returning for more: the dosa.